It's here! The 2012 Holiday eBook has been posted to the TpT site. This is a gift to all of our loyal customers. Down load either the PK-K edition or the 1-2 grade edition. Here is the 2012 Winter Holiday Tips and Freebies for that you've been waiting for featuring some of the best sellers on Teachers Pay Teachers. We hope you enjoy all of your free teaching materials for your classroom this holiday season. 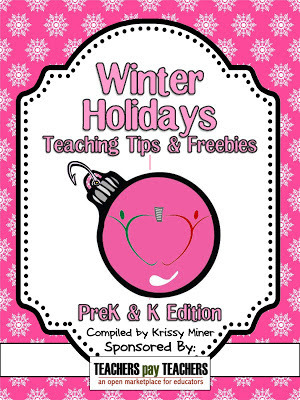 Be sure to check out the PK and K Edition as well because many of the freebies overlap grade levels!